The newly formed California Citizens Redistricting Commission (CCRC) has almost completed its work. The 14-member bi-partisan group released the new congressional map in compliance with their stated duties on June 10, and it appears they have accomplished most of their key objectives. Currently, the congressional plan is published and available for public comment. Changes may be made before July 7; final passage must come before August 15. The Commission appears to be on time to meet the published schedule. The CCRC was created through a vote of the people via ballot initiative. The purpose of the body is to take legislative and congressional redistricting power away from the state legislature in order to make the process less political and ostensibly more responsive to the public. The commission was also tasked with drawing districts more in line with community interests, without regard to the political fortunes of the current incumbents. It appears the commission, comprised of five Democrats, five Republicans, and four Independents (each map must receive four Democratic votes, four Republican, and three Independent tallies – the specific congressional map in question actually earned the support of all 14 members), accomplished their objectives, at least in terms of creating compact, community specific districts and generating more political competition. Most of the incumbents are not happy with the map. Of the state’s 53 incumbent representatives, 27 are actually paired with a fellow incumbent – that is, their places of residence are in the same district as another congressman. In fact, one seat in the Central Valley near Fresno, now has three incumbents. The vast majority of these members have another district in which to run, but many do face serious political situations. Rep. Lynn Woolsey (D) – With her new district now stretching from her Marin County base all the way to the Oregon border along the California coast, Ms. Woolsey is reportedly set to announce her retirement early next week. Rep. Jerry McNerney (D) – Will have a choice of opposing Rep. Pete Stark (D) in a Bay Area seat, or running in the San Joaquin Valley seat, far from his political base, but a solidly Democratic seat. He could face significant primary opposition. Rep. Dennis Cardoza (D) – One of the trio of members placed in the same district, Rep. Cardoza does have a neighboring seat in which to run, but it is a more marginal seat than his current 18th district. He becomes more vulnerable to a Republican challenger. Rep. Jim Costa (D) – Fresh from a highly competitive 2010 election in which he survived in a close tally, Rep. Costa finds his new seat to be even more marginal. A strong Republican candidate has the potential to give Costa a serious run. Rep. Lois Capps (D) – The new Santa Barbara-San Luis Obispo district becomes a 50/50 seat for Democrats and Republicans. Capps currently has a safe Democratic coastal seat. A strong Republican candidate will have a chance to win here. Rep. Elton Gallegly (R) – Currently placed in the same seat with fellow GOP Rep. Buck McKeon, Mr. Gallegly will also have the opportunity to run in a marginal district labeled “East Ventura.” Gallegly is a retirement candidate. Rep. David Dreier (R) – The House Rules Committee chairman may have the most difficult political situation of any California incumbent. His current 26th district is now spread among six new seats. All of his options are difficult. He could possibly survive in the new Ontario district, but will already face stiff opposition from state Sen. Gloria Negrete McLeod (D). Rep. Brad Sherman (D) – Will likely face another incumbent either in the Democratic primary or the general election. His choices are challenging Rep. Howard Berman in the West San Fernando Valley seat or running against Gallegly in East Ventura. Even if Gallegly were to retire, the East Ventura seat is so marginal that it is difficult for both sides to win consistently, so Sherman would not be guaranteed victory even as the sole incumbent running. 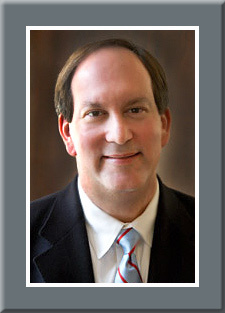 Rep. Howard Berman (D) – Could face Rep. Sherman in the Democratic primary. The new West San Fernando Valley seat is 51 percent of Sherman’s current territory versus just 19 percent of Mr. Berman’s. Rep. Xavier Becerra (D) / Rep. Lucille Roybal-Allard – This is a legitimate pairing, as neither member can easily move to a new district. Both will have to run for the “East Los Angeles” seat and it appears obvious that one of the two will not return to the next Congress. CA-36 Special Election Winner – Should Democrat Janice Hahn win the July special election, as expected, she will find herself in more Republican district in which to seek re-election. The Democrats should hold the seat, but it will be more competitive. Rep. Laura Richardson (D) – Paired with Rep. Linda Sanchez (D) in the Long Beach Port seat. Ms. Richardson, however, can slip over to the Hawthorne-Gardena district, but will face a serious Democratic primary challenge from state Assemblywoman Isadore Hall. Rep. Linda Sanchez (D) – Paired with Rep. Richardson, but will likely only face state Sen. Alan Lowenthal (D) in a serious Democratic primary battle for the Long Beach Port seat. Rep. Ed Royce (R) – Receives a less Republican district, but one he can win, at least early in the decade. Could move to the Orange County South district, but that would mean challenging fellow Rep. John Campbell (R) in a Republican primary. Rep. Gary Miller (R) – Sees his safe Republican seat become a likely Democratic district. Rep. Miller has few good options. He could possibly move into the Ed Royce district should the veteran Congressman move south. But, even here Miller would be potentially vulnerable in both a Republican primary and the general election. Rep. Dana Rohrabacher (R) – Currently paired with Rep. John Campbell (R). If Royce does move into the Orange County South district, Rep. Rohrabacher could find himself in a Republican primary battle with Campbell in the Orange County Coastal seat. Rep. Loretta Sanchez (D) – This Orange County seat is another one that gets more competitive under the new map. Rep. Sanchez could find herself in a highly competitive general election campaign. Rep. John Campbell (R) – Again, if Rep. Royce moves south, then Mr. Campbell will have a choice of facing him in a Republican primary campaign, or Rep. Rohrabacher in a similar situation but in a different district.